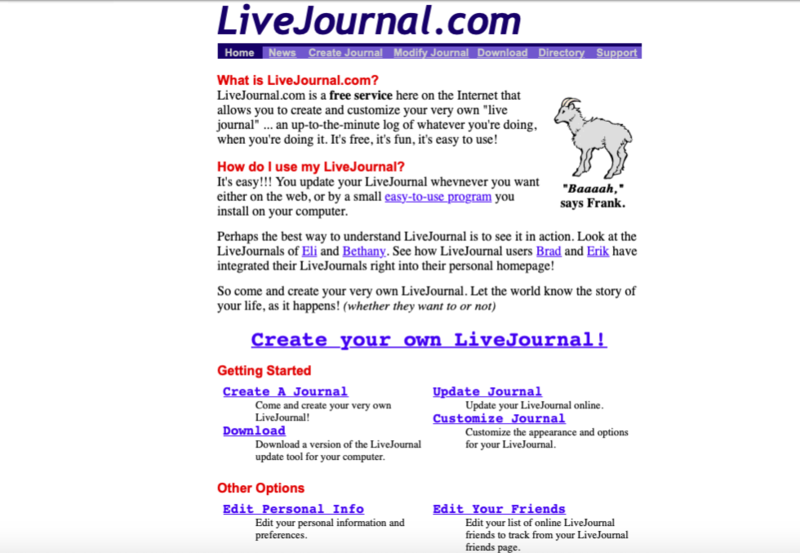 Like Facebook, Livejournal was built in a bright student's dormroom; but unlike Facebook, LJ wasn't built "for nonconsensually rating the fuckability of stolen photos of undergrads," but rather as a community-minded platform for self-expression and connection-forging. Today, LJ is Russian-owned and Russian-hosted, and while it remains hugely influential in Russia, it is also viewed with great sorrow by its non-Russian exiles, who left, or were forced to leave, by a series of minor and major catastrophes that are a kind of microcosm of the ways that online communities can both excel and fail. Steven T Wright's potted history of LJ on Ars Technica is a fascinating read on the subject, tracing LJ's history from a nonprofit, volunteer-run project that used borrowed space in a small ISP (literally a closet) to host itself, to a small, struggling business that tried to balance a commitment to its users with the need to keep the lights on, to a division of Six Apart, where the new managers struggled to rebalance that commitment, sometimes getting it wrong and sometimes being needlessly tormented by both trolls and users who refused all change, to the site's sad situation today. The most interesting part of Wright's history is that difficult balancing act between the commercial needs of the service and the ethos of prioritizing users' comfort. Sometimes, this made the service too timid, and other times it was far too bold. It's important to remember that in this day of giant services that are almost totally unresponsive to users' needs (from Facebook to Tumblr), there's also nothing about "listening to users" that automatically guarantees that you'll produce something they like (or that you can financially sustain).